It can get confusing when buying tickets to Reel Asian. But don’t fret! 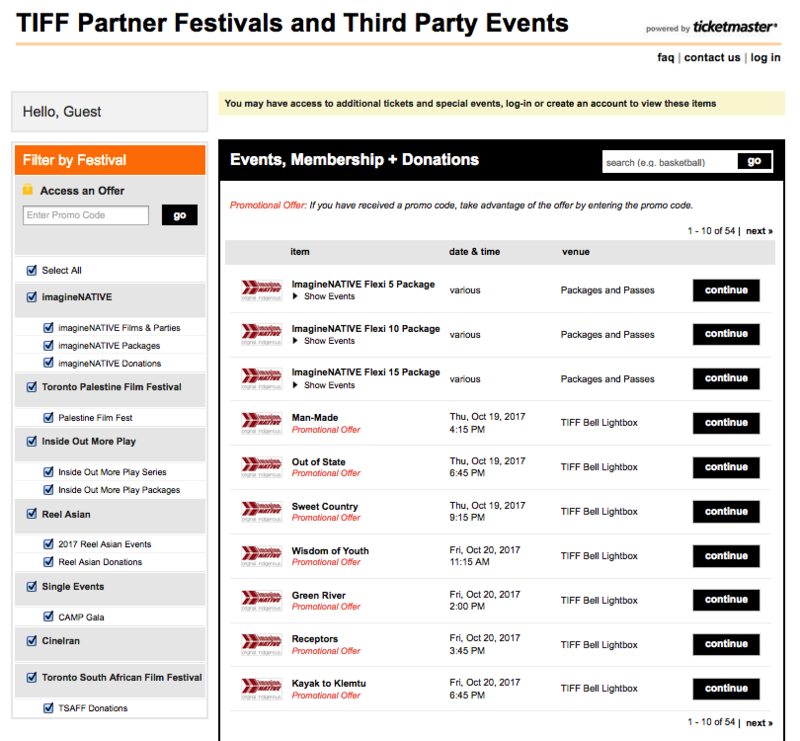 Follow these 8 simple steps to help guide you through TIFF’s ticketing system. 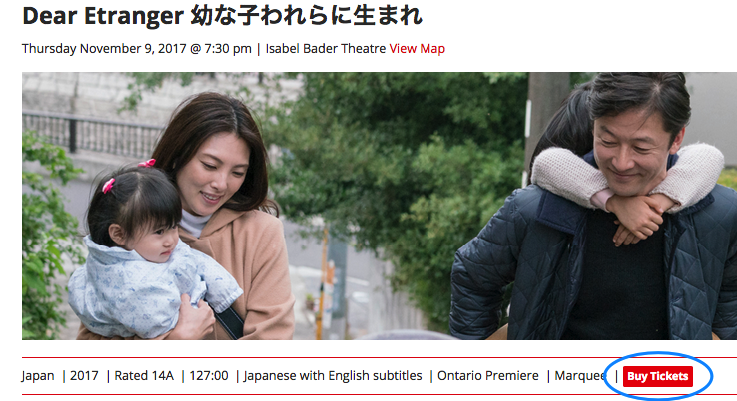 Click the “Buy Tickets” button on webpage of the film you are interested in. 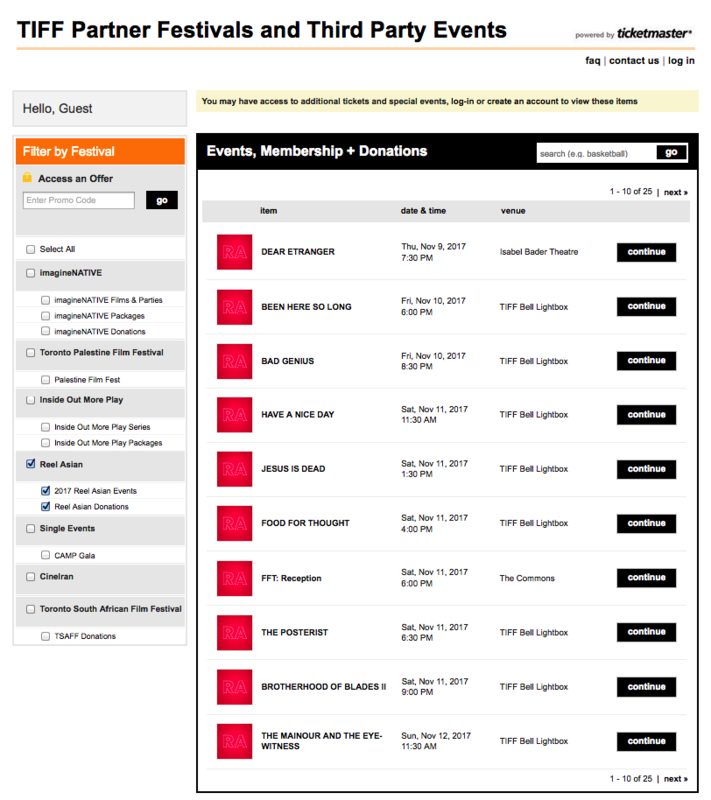 You will land on the TIFF ticketing homepage (left image). 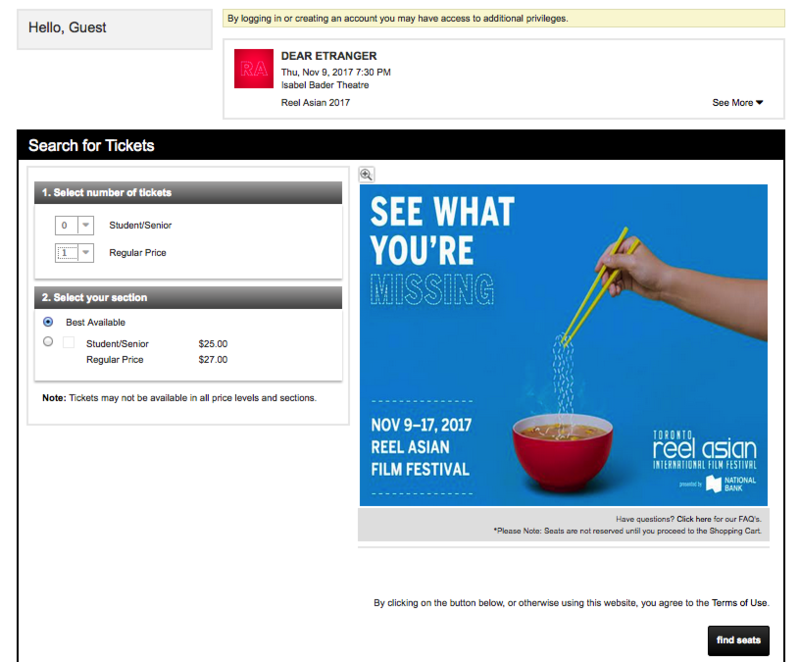 If you do not see Reel Asian events listed, deselect all other festival events except for “Reel Asian” (right image). If you have a promo code, you can input it into the field in the top right corner of the page. Click on the “continue” button of the film you would like to purchase tickets for. You will land on this page where you can select the type of tickets to purchase. Once you have made your selection, click “find seats”. You will land on the Ticket Results page. If everything looks good, click the “add to cart” button. Once you hit the “add to cart” button, you will be prompted to log in with your TIFF account. If you do not have an account, click on the “Create an account” link to proceed and confirm your ticket purchases. Once you are logged in, you will land on the Shopping Cart page. 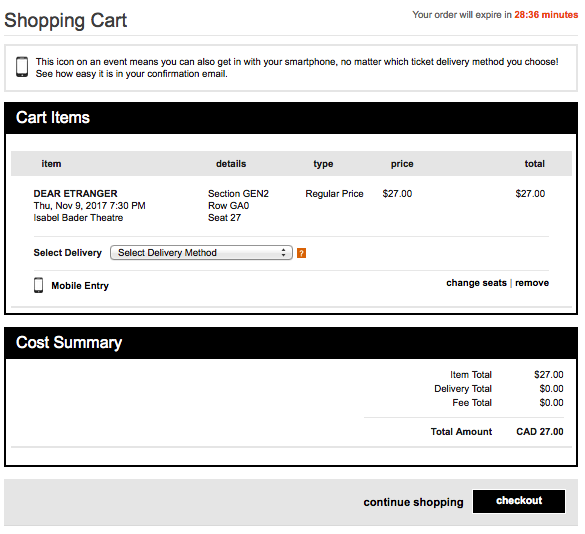 Select your delivery method from the drop-down list before clicking “checkout” to confirm your purchases. And that’s it! For additional information about ticketing, box office, cut off times, please visit our Ticketing FAQ page. Thank you! See you at #ReelAsian21!